Some people choose to build new homes from recycled materials, which is a great way of saving money and helping the environment. It also creates totally unique designs and one-of-a-kind properties. In many cases, building with recycled materials actually makes a structure stronger, cheaper and far more efficient. It’s not new, however, as some charities have been building shelters and schools in poverty-stricken places from plastic bottles filled with adobe clay. Surprisingly, they are three times stronger than concrete. 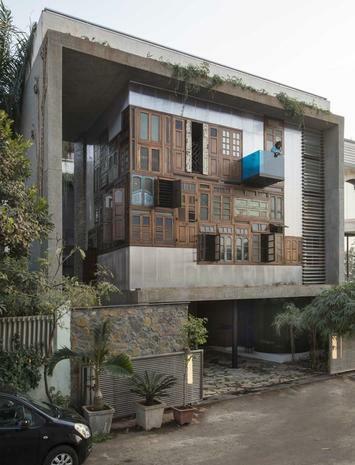 A recycled home doesn’t have to look like it’s made from rubbish though. Here are some examples that show with a little inspiration and a desire to reuse materials, you can build a home that can be modern, chic, colourful or blend in with the neighbours. You’d never know that this townhouse was constructed from recycled materials, but the bricks are actually constructed of 15 tons of rubble and waste. A company that makes bricks from waste, sourced the discarded ceramics, glass and clay from around the country before pressing them into bricks. A treehouse this time but built from the leftovers of demolished properties. The materials used include old wooden beams, ceramic tiles and glass. You can even book a stay here, as the property features on Airbnb. It sleeps up to 5 and comes complete with air conditioning, cable TV and an internet connection. These buildings look like something from a fairytale and were constructed using over 25,000 recycled glass bottles. The building of the 3 properties took around 4 years to complete and now operate as a tourist attraction. The 3 buildings include a chapel, a tavern and a house. The chapel is simply stunning, containing an altar and pews. 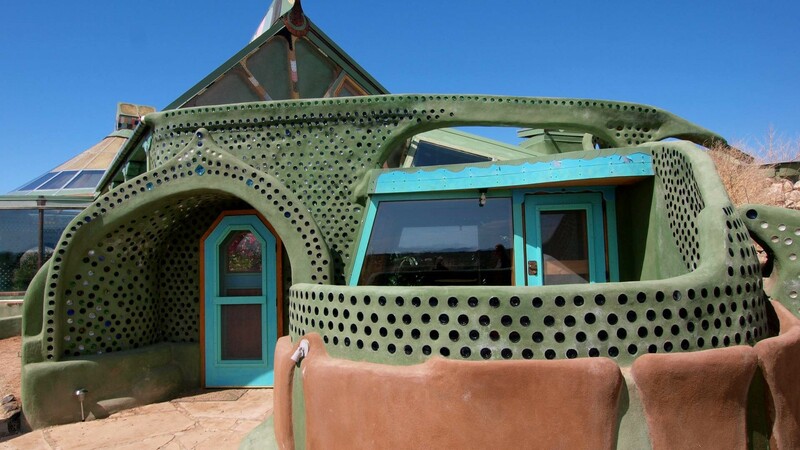 The Earthships are completely self-sustaining properties built from both natural and recycled materials. In a neighbourhood of Earthships, the Greater World Community boasts properties of two bedrooms and two bathrooms, a greenhouse, fish pond, vegetable garden and a garage for an electric car. A guest house with a twist, this property was designed for a client who wished to reuse a shipping container. The foundations contain discarded telephone poles and the decking is made from recycled plastic bottles. The property also boasts a roof garden that is watered using grey water from the home’s sinks and shower facilities.